For your DIY photo-booth parties, sleepovers, or just for brightening up a dull afternoon! 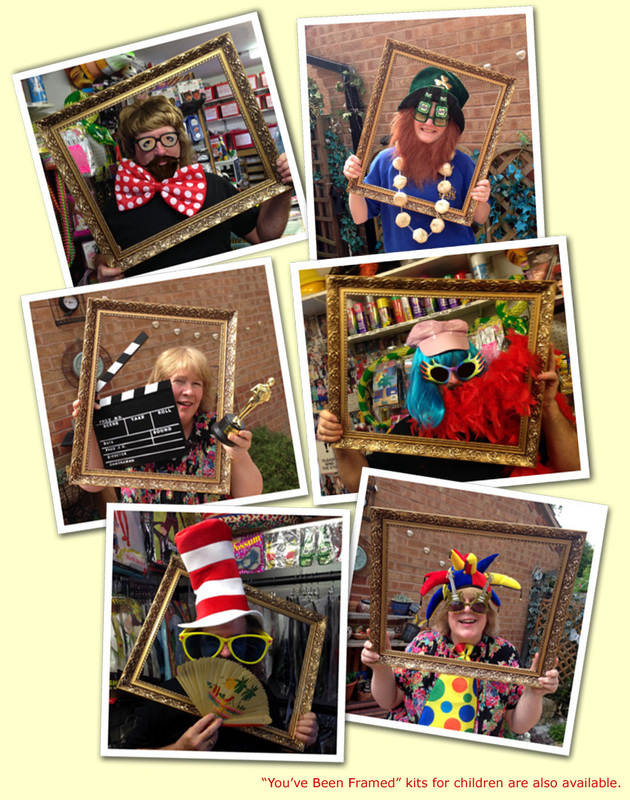 Hire a colourful collection of hats, masks, glasses, tiaras, garlands, feather boas and more, along with a picture frame - and then pose'n'pout until Facebook collapses under the weight of all your photos! Ring us on 01773 609616 for full details of our "You've Been Framed" kits.